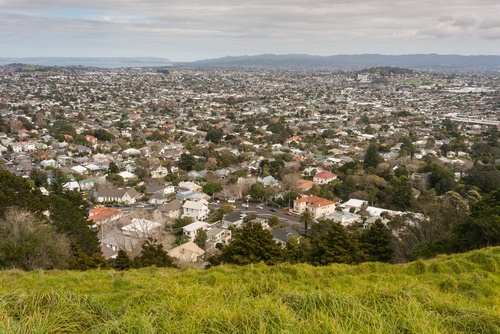 National has pledged to introduce new "fit-for-purpose" urban planning laws separate from the RMA, which they claim will encourage more responsive planning and lead to faster development. The ACT Party leader David Seymour has accused National of pinching ACT policies, saying this announcement is "a belated concession that the housing market is not all peaches and cream, and that fundamental reform of planning laws is necessary". A re-elected National-led government will introduce new fit-for-purpose urban planning laws separate from the Resource Management Act to encourage more responsive planning, faster development, and better protection for the environment in our growing cities, Infrastructure spokesperson Steven Joyce and Environment spokesperson Nick Smith say. “New Zealand is growing strongly and we want to make it easier to build the housing and infrastructure for that growth while still ensuring our urban environments are some of the most liveable in the world,” Mr Joyce says. “To do that we need to give our cities the ability to adapt and develop faster, while respecting and improving the urban environment - and the current planning system is not allowing that. “The RMA’s one-size-fits-all approach has restrained the development of our cities, dragged on their economic performance, and restricted the supply of much-needed housing and infrastructure. Dr Smith says the new planning legislation will have clear and separate objectives for regulating urban and natural environments. “Over the past nine years we’ve simplified the RMA and made it easier to build but the RMA is only one part of the planning system, and we have reached the end of what can be done by making incremental changes to the Act,” Dr Smith says. “We agree with a number of stakeholders that it is time to develop fit-for-purpose planning legislation dedicated to urban environments that includes the relevant parts of the Local Government Act and the Land Transport Management Act in one piece of legislation. “So we will set up separate planning and environmental regulations specifically designed to encourage growth while tackling the environmental challenges found in cities, such as air pollution and storm water surges,” Dr Smith says. “This new legislation will work in parallel with our plan to put in place urban development authorities to redevelop specific brownfields areas in our cities to allow for more housing – the work for which is already underway. “While the focus of this reform will be on urban planning we will keep a close eye on what changes may also be applicable to non-urban and rural areas through the existing RMA. National will start its urban planning reform process by consulting with key stakeholders, local government, iwi, experts, and the public to develop fit-for-purpose legislation that works for cities. “The successful Auckland Unitary Plan and the Independent Hearings Panel review process shows we can put sensible rules in place that work for everyone. We want to use the same collaborative formula to create an urban planning system that enables growth, gives businesses the confidence to invest, and adapts to the changing needs of cities,” Dr Smith says. National adopting ACT’s policy of separate urban planning laws shows why it needs ACT to supply the ideas for a centre-right Government, says ACT Leader David Seymour. “On the face of it, National have nicked the second half of our policy to scrap the RMA and create pro-development legislation for cities. “It’s a belated concession that the housing market is not all peaches and cream, and that fundamental reform of planning laws is necessary. “ACT has led this debate, in fact it’s one of the key ideas described in my book Own Your Future. I’ve always said it’s ridiculous for us to regulate land use in Henderson using the same legislation as Fiordland. “One question remains; if National admits the RMA is a drag on our economy and housing supply, why won’t they commit to scrapping it? “This is exactly why National needs a stronger ACT. With more ACT MPs we’ll ensure National scraps the RMA entirely, along with the rest of the unnecessary red tape that holds back house-building. Dollar short and a day (9 years) late. "Give us another term and we promise we'll get around to it this time! Honest!" Like this time it will be different ... I think everyone has cottoned on to their lies. National is for foreign Nationals, kiwis are forgotten about. "..regulations specifically designed to encourage growth while tackling the environmental challenges... "
Regulations can't change physical laws. Growth & environmental protection are diametrical opposites. Actually no, countries can screw over the planet quicker if they are also willing to cripple their economy. In other words, the status quo. "The successful Auckland Unitary Plan and the Independent Hearings Panel review process shows we can put sensible rules in place that work for everyone [and create a housing crisis]." Definitions of success may vary. Weren't there changes during the "successful" Unitary Plan process that specifically excluded public input when it looked like they weren't compatible with the Minister's objectives. Thought National had locked him away in a cupboard until after the election. Or they should have. Desperation much. Tailor-made regulations, for the people. Because only we can do that. Some Franken-Law on the way as National buy some bits at the wreckers yard and weld the front of an Austin Allegro to the back of a Hillman Hunter. It's still Nick Smith, it' still National, it's still nine years. The only tweaks to the RMA that I can remember were made by Rodney Hide and Act back in 2009. The Nats, themselves, have done sweet FA to the RMA so far. District Plans perform one statutory job and two non-statutory jobs. The first is environmental protection. The other two are mitigating nuisance between properties and urban design/aesthetics. Is it too much to expect that Smith/Joyce indicate that they know this stuff and have a few clues about what will end up where? Can we know what will happen to financial and development contributions and, therefore, how infrastructure will be funded? Apparently Labour are expected to provide specifics on all policies but we are supposed to be impressed by National waffling away like this. The Nats, themselves, have done sweet FA to the RMA so far. “The most controversial changes would further restrict the ability of Councils to protect significant urban trees. The Bill overrules an Environment Court decision in 2011 and requires tree protection rules in plans to identify individual trees or a cluster, grove, or line of trees in a schedule to the plan by street address and/or legal description of the land. This is imposing a massively bureaucratic responsibility on Councils and not all of them will have the capacity to carry out this exercise. To fulfill the new requirements of this RMA amendment, one council put two full time staff onto combing the district street by street for two years - making a list of thousands of individual trees to be protected in future, and (for example) determining that resource consent would be required to trim a taupata tree. So if National (who did a review) is "sweet FA' then I guess Labour (who did .. nothing) must be "sour FA". Heh...after nine years of achieving nothing despite much talk and all the promises, still blaming Labour. Got that big sign behind the desk that reads "The Buck Stops Elsewhere". This is the party that claims to have commercial nous. What commercial CEO would be able to do nothing for nine years then blame his or her predecessor, and expect to keep their job? We're talking about the RMA Rick. Oh no, the previous Labour government made amendments as well - but they weren't quite as stupid. But nothing substantial enough to make Wikipedia then? Local Government New Zealand said in its submission to the local government and environment select committee that some of the changes designed to simplify and streamline the Resource Management Act were not well thought out and may actually create more delays and increase costs. See below Kate, I am not arguing RMA is good or better under any government. No it's not one-eyed. It's an informed opinion. Anybody gullible enough to think a Labour government will make any positive material difference is either blind or an ideologue. Maybe the same thing. The other very obvious counterpoint being that of these amazing amendments you speak of (whatever they were) - unless National reversed them all then Labour is clearly tarred with the exact same brush of criticism that you are levelling. I am not arguing RMA is good or bad. I am pointing out that criticising any *one* party for an act of parliament dated from 1991 is one-eyed and unbalanced. I guess it *is* election time so rational is in short supply. Rational...would not be taking at face value noises National is making about taking action on the RMA after nine years of NOT taking action. All this talk can only really be seen as empty piffle when it's measured against their track record of inaction. Do you mean the nine years of Labour's inaction on RMA or National's nine years of inaction on RMA Rick? I am noting it is irrational to trust National's promises made this time when they have made them before and not kept them. We've no basis on which to trust they will keep their word this time around. It is a sad fact that if you were honest enough to use the same measure against all politicians and their promises Rick, there would be nobody left to vote for. Well...you have a reasonable point there. Though I think we should ask better of our politicians and be prepared to turf them out if they don't keep their promises. I am all for accountability, but one should always be mindful that the "cure" can be worse than the "disease". There are many historic examples where voting "out" went badly wrong when nobody asked what they were voting "in". In an environment where no incoming government has ever kept all its promises the extent of that accountability must always be imperfect. There was not inaction on the RMA by Labour by any means - list of amendments above. Ah well, it must have been perfect then ;). We could of course change "inaction" to "ineffectual action", the outcome is historic fact now. My general impression was that they listened and acted on Select Committee submissions a bit better than their National counterparts and they had a more constructive and respectful relationship with the Parliamentary Commissioner for the Environment. My general impression is that the RMA is a poor piece of legislation that both Labour and National have failed to rectify in their nine years (respectively) in power. Either they didn't do enough - or - what they did was ineffectual, Evidenced by the fact the RMA is largely intact today. And to blame one party over the other for that present fact is unbalanced. This is your opinion, I dont agree with it. The very fact the RMA is intact points to the fact that majority of NZers didnt want it changed and any Pollie that went near was told that quite clearly. Simple, the RMA stops NZ being turned into a cesspit like the majority of other countries around the world. “The RMA’s fundamental purpose is to make sure that environmental effects are taken into consideration when decisions are being made about using our resources. It is not, and should not become, an economic development act. "points to the fact that majority of NZers didnt want it changed"
In my opinion this is a very naive view of how government works. Using this rational we could justify every law that survives one term of government and enshrine it as "the peoples will". Also, I see no evidence the *majority* of the world is a cesspit, that's just a silly exaggeration. The not so hidden cost of the RMA sits at the bottom of the hill I live on, where it took over ten YEARS to consent (not develop, just the resource consent alone) a new subdivision. RMA is a major sponsor to land banking in urban areas, driving up land prices and reducing affordable housing. Great if you already own a home but not good for those who don't. In my experience, if a proposal takes that long to consent, the likelihood is it shouldn't have been consented at all. Pike River is a good example. You might be deflecting somewhat Kate, even if it shouldn't be consented (which is a different question), why should it take ten years to decide either way. Often, the proposal is declined. So the applicant re-submits. And the proposal is declined, So the applicant appeals. And the proposal is declined. So the applicant re-submits. And the proposal is declined. So the applicant appeals. And eventually the proposal is granted - with a whole bunch of conditions that make it largely uneconomic anyway. Is that not a very description of dysfunction? I wonder what the cost of that lot is to the rate payer. In the main, it deals poorly with urban development matters but adequately with respect to resource management. Yes and proposed changes to the RMA so close to election time is a desperate attempt to buy votes. National's had their time in power; regardless if the new government is good or bad it is time for a change. Maybe it has escaped your notice sammnz that *every* political party in the country is trying to buy votes right now. In that context it's not much of an accusation. But being as politics is a fickle business, surely there must be a party who can offer you a bribe that seems acceptable to you. Alas, as you point out, there is no accounting for human incompetence. 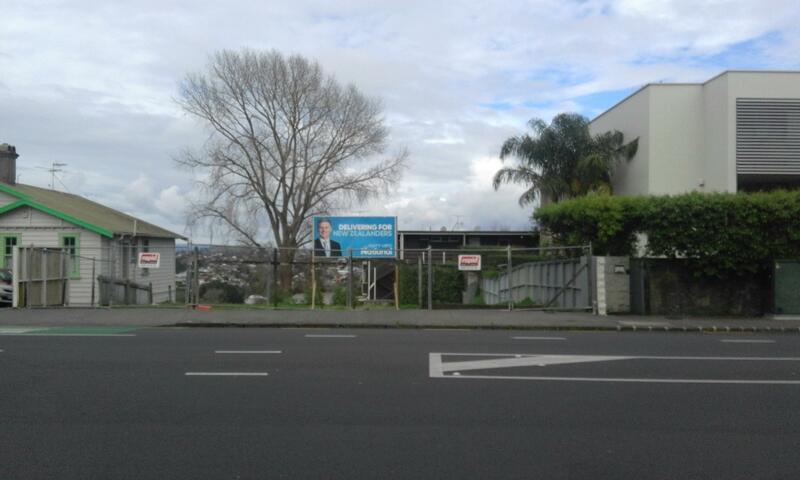 To be fair the requirement to identify heritage trees individually was in the original (bipartisan) 1991 legislation. Waitakere City acted ultra vires when they created a blanket tree protection zone. They got called on it in the Environment Court and lost. But the only substantial change made since the Nats got in was the 2009 amendment for simplifying and streamlining processes. And that was largely driven by Act. The Nats have made some other tweaks more recently to prevent judges in the Environment Court having other jobs. But that's about it. However, the Government considered that the conditions set out in ‘b’ and ‘c’ [by the Environment Court] were at odds with the intention of the amendments under RMAA09 because they effectively legitimised a range of common approaches to blanket tree protection rules and allowed some councils to retain such rules. To address this, section 76(4A) was amended under the Resource Management Amendments Act 2013 (RMAA13) to align with its original policy intent – the prohibition of blanket tree protection rules in urban areas. Basically, the Government didn't like the Court's interpretation of their earlier amendment on tree protection, so they amended the Act again to achieve what they initially set out to achieve - which (in my opinion) added (in some cases) huge administrative/planning cost to councils. It is an interesting case study. To my mind, the government ought to have not tried to deal to 'blanket' tree protection in the first place - that type of issue is better left for individual councils to sort out with their communities via the normal plan change processes. If you start trying to write this kind of 'micro-management' policy into the national statute, you just complicate the statute. But, just my opinion. Agree....if the locals want to keep a forest, or one tree or not, that should be and can be handled at the local level, central Govn need not and should not interfere. I stand corrected. However my own experience of working for a council suggests to me that the processes of drafting, notifying and maintaining a district plan are sufficiently exclusive that you would be hard pressed to claim a real mandate from the whole community for such blanket rules. While I agree these should be local initiatives I am not sure that a district plan supported by the full weight of the RMA is the best way of preserving what are basically amenities not the "..life-supporting capacity of...ecosystems.."
Donald it is a joke that Nick Smith and Bill English are planning some sort of Franken-Law change to the RMA. The RMA was introduced in 1991 by their colleague Simon Upton (although it was originally conceived by Geoffrey Palmer). Back then Nick and Bill were newbies in Parliament -serving their second year. 26 years later they are still in Parliament. Nick and Bill have been Cabinet Ministers from 1996 -1999 and from 2008 to today. So 12 of those 26 years. They have had plenty of chances to reform this legislation. It is pathetic and a sign of desperation that 19 days before the election and halfway through an election campaign they announce they will make wholesale changes to the RMA. History will not look kindly on them. Unlike their mate John Key their political careers are going to end in failure. Agree that it is a joke. God only knows how long it is since their Productivity Commission made recommendations along these lines and they have done nothing until now. And, as I say, there is no detail that would let us judge whether they are onto it or just finding backdoor ways of letting mining companies have a freer run. If they are prepared to separate urban development legislation from environmental protection legislation why did they waste so much time putting the National Policy Statement in place? Should have gone straight here. But they clearly don't want to do any hard work. Wakey wakey Bubble-O-Bill. You've had 9 years. Bubble O Bill is right on the money. But land banking is only worth it if there is very little land around to be built on. And it's Labour and the lefties in councils who won't let land be zoned for housing. National should have tackled the RMA 6 months after coming into power. Instead they've done nothing and 3 weeks before the election say "Aha! We can fix it!" Classic -National targeting the land banking vote seems like a big misjudgement. The concept proposed by Smith is long overdue but I have zero confidence in the Nats' ability to carry out this change effectively. And, in the interests of even-handedness, I am yet to hear from any party that gives me confidence that they could do a better job. The RMA is OK legislation as it is written. The problems lie in what councils have done with the district plans they have developed in its name. I have always read section 5 of the RMA as meaning that we are all free to pursue individual and collective happiness in any way we like as long as we don't ruin the natural environment. But you would be hard pressed to see that liberty expressed anywhere in any council's district plan. The reason why that is so is that councils stuff their district plans full of non-statutory stuff to minimise expenditure on infrastructure, prop up property values, and/or fulfill some staff member's ideals about urban form and function. If you stripped away everything from Auckland's Unitary Plan that was not strictly about sustainable management of natural resources (and a handful of other minor statutory requirements) the total document probably wouldn't even break 100 pages. More to the point, the statutory processes for making changes to the plan would now seem not only reasonable but essential given that changes would now only be for significant reasons [not some trivial rezoning of a paddock for residential purposes]. National have complained for years about how slow it was to get resource consents through councils. Strictly speaking the time-consuming part is changing district plans to convert rural land to residential zoning, consenting subdivision in appropriately zoned land doesn't take long at all. But they had the grand opportunity of proving their point when they brought in Special Housing Areas that essentially bypassed zoning. And SHA's were a grand failure. RMA red tape (in the process sense) was never the problem. In public, at least, the Nats have shown a total lack of understanding about councils, development and the relevant legislation. So there is no way I can give a thumbs up to this very belated Damascene conversion. But like you, Donald, I have no faith that this Gordian knot is understood outside us insiders (ex-insider, in my case). The Unitary Plan is a failure, most SHA's have expired, Nick Smith was hopeless on the housing front and National have achieved little over the last nine years but left us as a country with half a trillion of debt. Suspect an easy election win for Labour unless Jacinda falters against bumbling Bill in tonight's leaders debate.